Dedicated to the toughest requirements in permanent installation the Bittner 100 Volts Installation Series exceed all required standards like EN 54-16 and IEC 258-3. 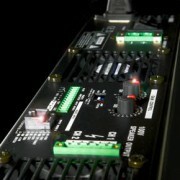 The new 4DXV class D amplifiers are transformerless. Their sound and impulse response rival any amplifier. Bittner 100 Volt Direct – When the rubber hits the road!